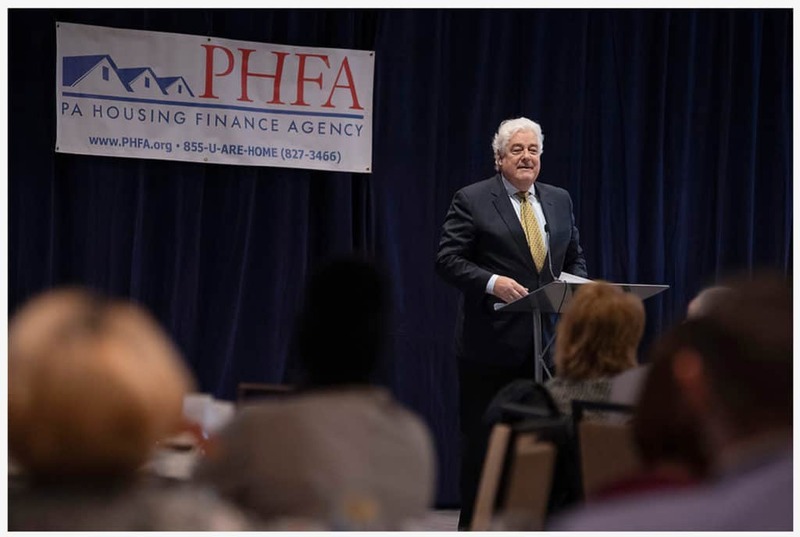 John Taylor, the President and Founder of NCRC, received the 2018 Award of Excellence from the Pennsylvania Housing Finance Agency (PHFA). PHFA works to provide affordable homeownership and rental housing options for older adults, lower-income families and people with special housing needs. The award, presented Nov. 13, 2018 at a PHFA event in Harrisburg, Pennsylvania, celebrated Taylor’s 40 years of leadership and advocacy for vibrant community development. The award also recognized Mr. Taylor’s leadership of NCRC and the coalition’s success driving banks to commit close to $100 billion in loans, investments and philanthropy in low- and moderate-income communities nationwide. He also led the purchase of two buildings in Washington, DC, to provide NCRC and other economic justice nonprofits a central hub to grow and collaborate.